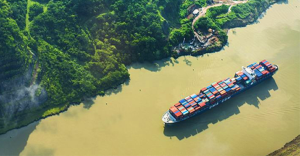 Dolphin Marine Suppliers, S.A. is a company dedicated to supply foriegn going vessels, ships and cruises along the entire route of the Panama Canal, providing all kinds of products you may need. We are a company with more than 8 years of experience in the service, providing a complete line of products for Deck Store, Engine Store, Chemicals, Paint, Rope, Wire, Grease, Pipe Fitting, Electrical Cable, Welding, Tapes, Provision, Bond Store, etc... offering excellent products and a quality service to each of our clients to ensure satisfaction of work performed. Offer excellence, quality and speed in our services to all our customers, striving every day by being one of the most responsible and reliable supply vessels in Panama. Be one of the most valuable marine suppliers in the area of the Panama Canal, striving every day by day always having as a priority #1 the satisfaction of our customers. Striving to fulfill each order and be punctual at agreed places, always complying with each client. We enjoy what we do, with a passion for navigation and the personalized service that we give to the customer. Corresponding to the effort of our recurring customers with efficiency, commitment and loyalty. Informing in all time and location the actual status of the orders, acting according to the truth, which is evidenced by the promise and fulfilment of commitments. We are a company with vast experience and enough knowledge to understand the need of the international market of navigation. © 2018 Dolphin Marine Suppliers, S.A., All Rights Reserved.